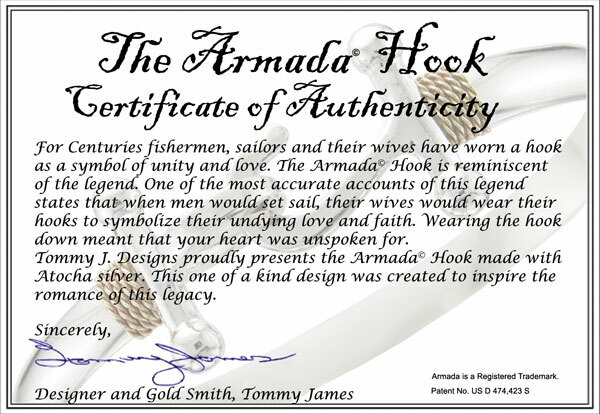 For Centuries fishermen, sailors and their wives have worn a hook as a symbol of unity and love. The Armada© Hook is reminiscent of the legend. One of the most accurate accounts of this legend states that when men would set sail, their wives would wear their fishing hooks to symbolize their undying love and faith. Wearing the hook down meant that your heart was unspoken for. This one of a kind design was created to inspire the romance of this legacy. 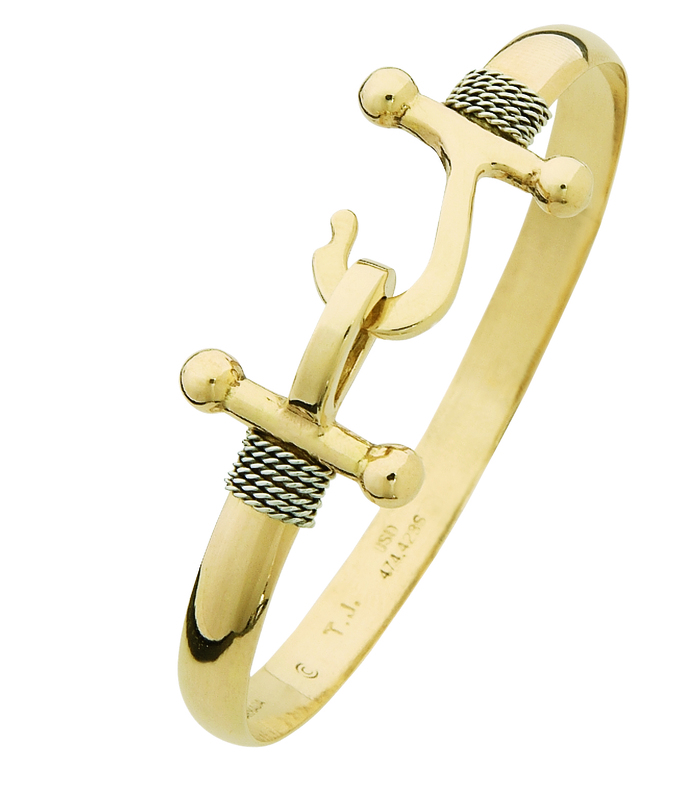 Each band style of our hook bracelets are named after a different ship in the Spanish Armada. You will receive a Certificate of Authenticity, with purchase, outlining a bit of information about the ship that your band style is named after.